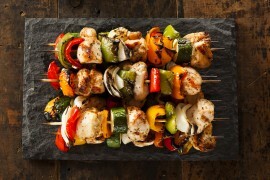 Kabobs are an easy weeknight meal, and honey has a number of great benefits for our health. So, why not combine these two and make a great meal for your next party? A buttermilk and honey marinade keeps the chicken tender while adding great flavor and putting these delicious chicken pieces on a stick makes this meal easy and fun for the whole family. 1. In a large bowl, whisk together tomato paste, hot sauce, and honey. Next, whisk in buttermilk, garlic, sweet onion, pepper, and two teaspoons of salt. Continue to mix until smooth. 2. Place buttermilk mixture in a large zip-top plastic bag. Add chicken and seal. Place in the refrigerator to marinate for 3 hours. 3. 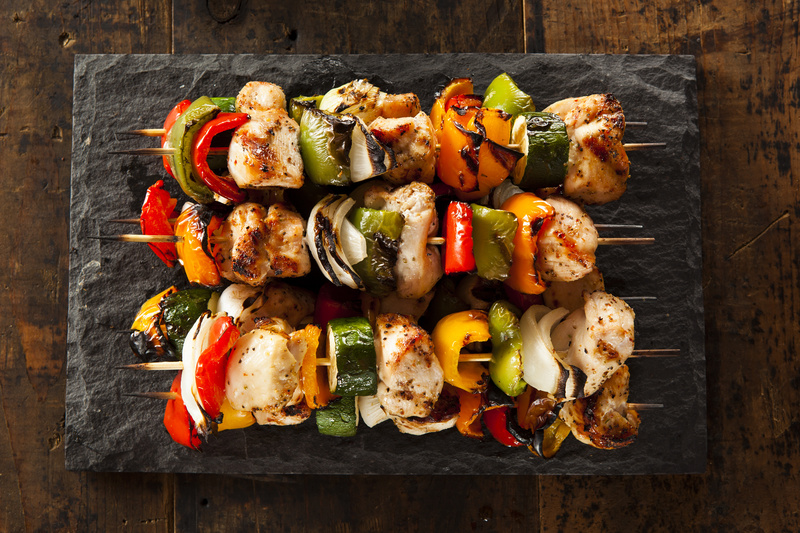 If using wooden skewers, soak the skewers in water for 30 minutes – doing so will help the skewers to not get burned when cooking. If using metal skewers, skip this step. 4. When ready to cook, clean and prepare the grill for cooking. Preheat the grill to medium-high heat, between 350 and 400 degrees. 5. Coat the grill grate in vegetable cooking spray and place directly over the heat. 6. Remove the chicken from the marinade. Thread chicken, one piece at a time, onto the skewers. Make sure to leave at least 1/8 inch of space between each piece of chicken to ensure they cook through on all sides. Sprinkle remaining salt over the skewers. 7. Place the kabobs on the grill grate. Close the grill lid and cook for 6 to 8 minutes on each side or until chicken is cooked through. 8. Remove chicken from the grill and place on a serving platter. Service with grilled lemon halves and enjoy! Manuka honey is a great addition to any recipe. If you would like to order some for your next BBQ, visit the online Manuka Honey store at ManukaHoneyUSA.com! But, you don’t have to go far, all you have to do is click here.